Children’s homes in England must follow the National Minimum Regulations and Standards for Children’s Homes. This guide tells you what these Standards are, and how they apply to where your child lives. Use this guide to find out what is expected of children’s homes and the staff who work in them, how you can help the people caring for your child, and the information you should receive. This guide provides the wording of each Standard, advice about good practice, and a list of questions you can use to ensure that the care of your child is ‘up to standard’. 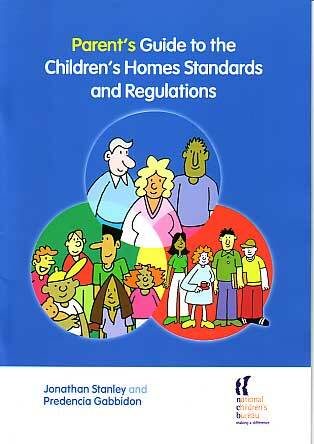 Parent’s Guide to Children’s Homes Standards and Regulations is part of a series of guides about the National Minimum Standards for Children’s Homes. Other guides are available for young people living in homes and staff who work in homes.